Transportation Management Software: Looking for an automated system that saves you time and money? We’re Compatible with Paratransit, Bus and Taxi Services. MJM can manage the entire system. – Stay within your budget. – Help you implement key aspects to complement and strengthen your existing service. Magnetic Swipe or Smart Cards – A reloadable card is issued to participants to pay for fares and to track trips. Information and reporting is available using a secure web portal. Cashless Cardless Payment System – The system manages account balances and allows payment of fares based on trip bookings without using a card. Information and reporting is available using a secure web portal. Hardware Solutions – We work with our clients to integrate to existing hardware and software. We also help them find the most cost effective and suitable hardware solution to automate fare collection. Our hardware solutions include swipe card readers, smart card readers, barcode scanners, pin pads, printers and more. Credit and Debit Cards – Participants can pay for fares using a standard credit or debit card in the vehicle. EzTransport: Now you can deliver more rides at less cost! EzTransport is the transportation management software solution for you! 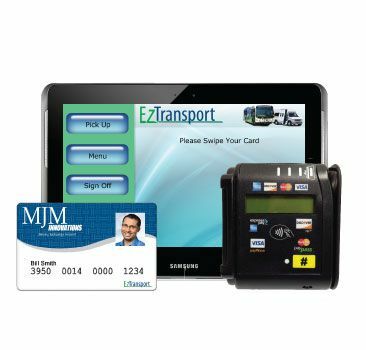 Whether you need a bus payment system for public transportation, paratransit software or fare collection solutions for transportation companies. 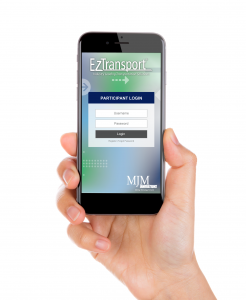 EzTransport Mobile: The Next evolution in Routing and Scheduling Software Ease. EzTransport has a driver mobile app to accept fares electronically, capture trip data and for routing and scheduling. This new rider mobile app for participants allows them to manage their profile. Whether that is checking balances, viewing trips, finding providers and much more. All from the ease of a smartphone or tablet. Real-time accurate Transportation & Fare Collection information! The transportation scheduling software provides a unique identifier for each participant and transportation provider. This makes it easy to get a true picture of your program’s operation being able to see both the big trends and what’s really happening on the ground – right as it happens. Transportation services with more control & accountability. You can now identify irregularities and trips that are outside your program guidelines. With the EzTransport card system, you can also verify fares and capture trip data. We use state-of-the-art reporting and auditing tools to verify the accuracy of fare collection and trip records. Save money and meet the mandates of your governing authority – without waste. No hassle integration of Taxi, Sedan & TNC services. The EzTransport transportation management software solution makes dealing with third-party vendors convenient while minimizing fraud. Realize your customers’ wish for on-demand service while lowering your average cost per trip. Improve transportation management service levels today. MJM can provide transportation management services, including transit fare collection management, customer service, auditing, billing and program management. All while saving you time and money. We help you achieve more flexible and on-time service – through better information management. Discover a new way to relate to your riders. ID and fare cards that incorporates your name and logo. Rider photos also add enhanced security. MJM designs and produces cards in its own production facilities, affording you the lowest possible price for card design and production. We can also manage the critical task of card rollout and distribution. Based on our years of experience and detailed understanding of the transportation industry.